Everything you need to get started and sail safely If you're looking to master the technical aspects of sailing, develop a serious hobby and learn to sail from one place to another without ending up in the water, The Complete Idiot's Guide ® to Sailing gives you what you need to know to get started and enjoy your time on the water. This guide dispenses information on how to become a savvy sailor quickly, helping you develop the skills necessary to set sail on new adventures. Inside you'll find everything you need to become an accomplished sailor; ranging from basic information about the mechanics of sailing to vital knowledge about navigation and the handling and maintenance of a sail boat. Advice is provided on which boat is best for you along with the practical safety information integral to any first-timer. This go-to handbook is perfect for anyone who has ever wanted to combine the fantasy of sailing as a carefree way to relax with the satisfaction of mastering a craft. 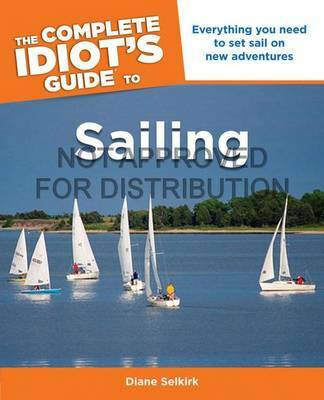 The Complete Idiot's Guide ® to Sailing is a comprehensive guide which will enable you to take to the water with confidence.